Local Activities - Coed Owen Bunkhouse, your stay in the Brecon Beacons! Coed Owen Bunkhouse and Ysgubor Bach would be of particular interest to Mountain Fitness Groups, Athletic Groups, Ramblers, Educational Groups, Duke of Edinburgh, Mountain Bikers, Road Cyclists and Social Groups. Just across the road from Coed Owen Farm and Ysgubor Bach is the Nant Ddu Lodge where you can enjoy fine dining, bar meals and local ales. Coed Owen Bunkhouse and Ysgubor Bach have easy access to the Taff Trail cycle path. Just a 15 minute cycle from the property and you're right on it! The trail is 88km in length, stretching between Brecon and Cardiff Bay. 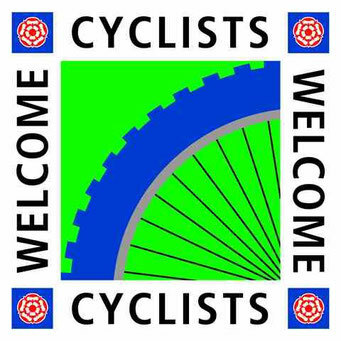 A large proportion of the Taff Trail is traffic free, cycling along former tramways, railways and canal towpaths. The Brecon Beacons offers a huge range of off-road biking experiences, from rides like The Gap and Sarn Helen Roman Road that cut through the heart of the Brecon Beacons National Park, to gentle, grassy routes across scenic commons. Bring your own bike or we can arrange bike hire for you. 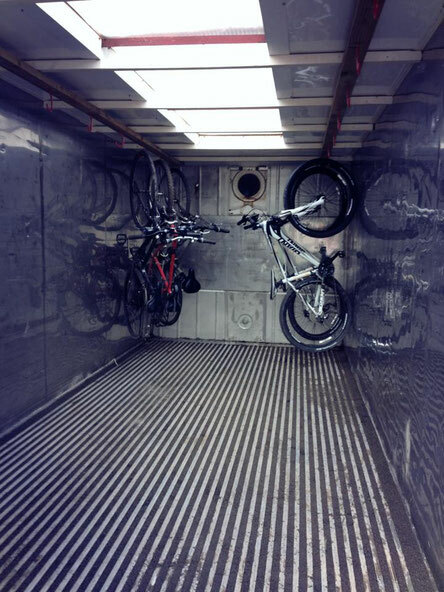 We also have plenty of storage facilities for your equipment and bike. Pen Y Fan is the second highest mountain peak in Wales, the highest in South Wales and the Brecon Beacons National Park. Pen Y Fan is a 2.5 hour walk (depending on your speed) from Coed Owen Farm. 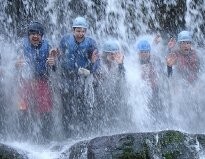 Gorge Walking If you are looking for the best gorge walking that Wales and the Brecon Beacons has to offer, then Gorge Walking Wales has all the adventure and excitement that you can manage. They have gorges to suit all ages and abilities, so whether you want just a fun filled exciting day or something a bit more extreme, then Gorge Walking Wales is the place to find the gorge walk to suit you. Wales Activity Breaks can provide you with an extensive range of activities from Landrover driving to high powered speedboat rides, to gorge walking/canyonning and quad biking on a 360 acre working hill farm. Experienced in Stag/Hen weekend activities and Youth Groups. Speak to Carlyn and her team who can even arrange to pick you up from Coed Owen or Ysgubor Bach. Big Blue Adventures is an adventure travel company based in Cardiff, Wales and run by Daniel and Heleen, a Welsh-Dutch couple with a love for outdoor adventures. Award winning customer service with Daniel and Heleen at Big Blue Adventures for your outdoor activites. 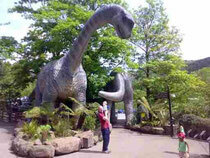 Great fun and bonding activites for Corporate, Stag, Hen and all Group gatherings. 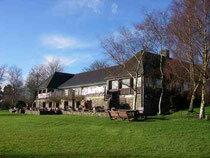 Storey Arms is an Outdoor Activity Centre, just two miles from Coed Owen and Ysgubor Bach. Gorge walking, caving, rock climbing, canoeing and hill walking can be provided by Storey Arms who are qualified and licensed activity providers. Garwnant Visitor Centre Just 10 minutes walk through our fields and you can be at Garwnant Visitor Centre where you can enjoy fresh, local food served in their restaurant and coffee shop or picnic in the forest. There is a childrens play area and low rope course. Here you can also buy your fishing permits to fish in the local reservoir. 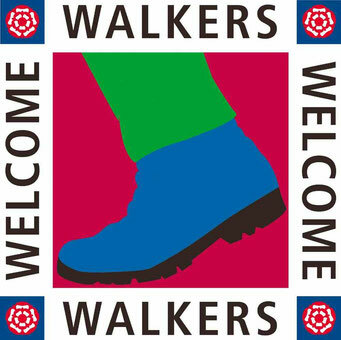 Guided educational walks and cycling are available too. There are three reservoirs, Beacons Reservoir, Cantref Reservoir and Llwyn On Reservoir situated within a few miles of each other along the main A470 Brecon to Merthyr Tydfil road where you can fly fish for brown trout and rainbow trout. Cantref Reservoir is only 5 minutes walk from us. Fishing permits can be bought from Garwnant visitor centre which is a 5 minute drive. Brecon Mountain Railway Just a short car journey. Enjoy a ride on a vintage steam locomotive through beautiful scenery along the Taf Fechan Reservoir. They can accommodate wheelchair users too. 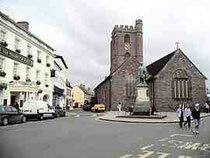 Brecon Town You can catch a bus from the bottom of our drive or take the car, or better still walk down the roman road to the historic cathedral town of Brecon. Home of the famous South Wales Borderers Regiment who fought zulu warriors. Brecon Museum can tell you the full story. Here you can cruise the canal on a boat and wander through Georgian narrow streets. Visiting Penderyn Distillery has become one of the most popular things to do in South Wales and is a genuine Welsh tourist attraction. The centre is just 20 minutes drive away and well worth the visit. Come to Coed Owen and Ysgubor Bach and look up to the heavens. Stargazing with no light polluition. We are in the Brecon Beacons National Park, Dark Sky Reserve. 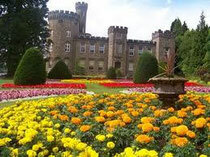 Just 10 minutes drive is Cyfarthfa Castle, Museum and Art Gallery, “Jewel in Merthyr’s Crown”. The ‘Ironmaster’ William Crawshay commissioned Cyfarthfa Castle in 1824. Here you can view dresses by Laura Ashley and Julien McDonald. Children will love Cyfartha’s Splashpad and Play water park. Picnic or have tea and cakes in the café. 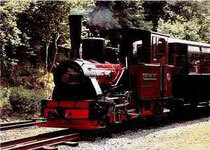 Cyfarthfa has a miniature railway which children and adults can enjoy. Why not get married at Cyfarthfa Castle and honeymoon at Coed Owen or Ysgubor Bach. Coed Owen and Ysgubor Bach has a chef, who will prepare and cook all your favourite dishes. Tracey caters for large or small groups, uses only the highest quality, locally sourced ingredients and is very competitively priced. Please let us know if you require this service.